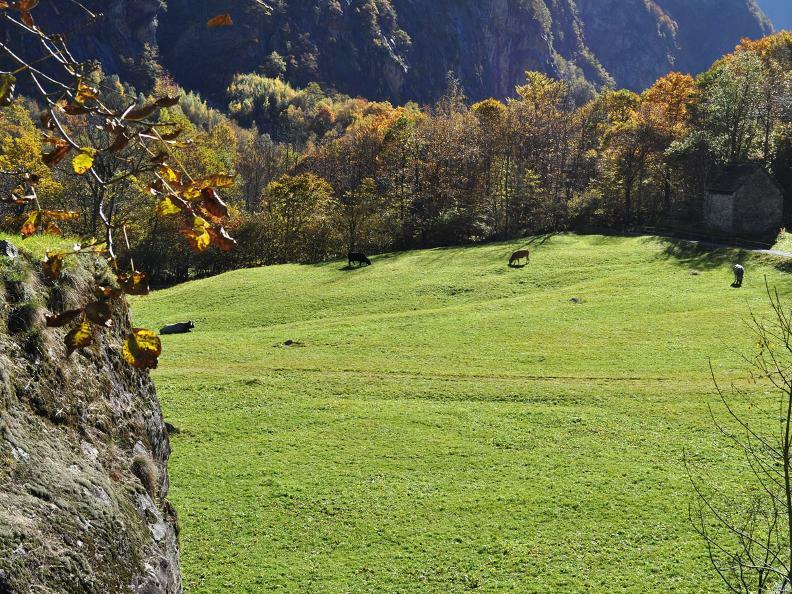 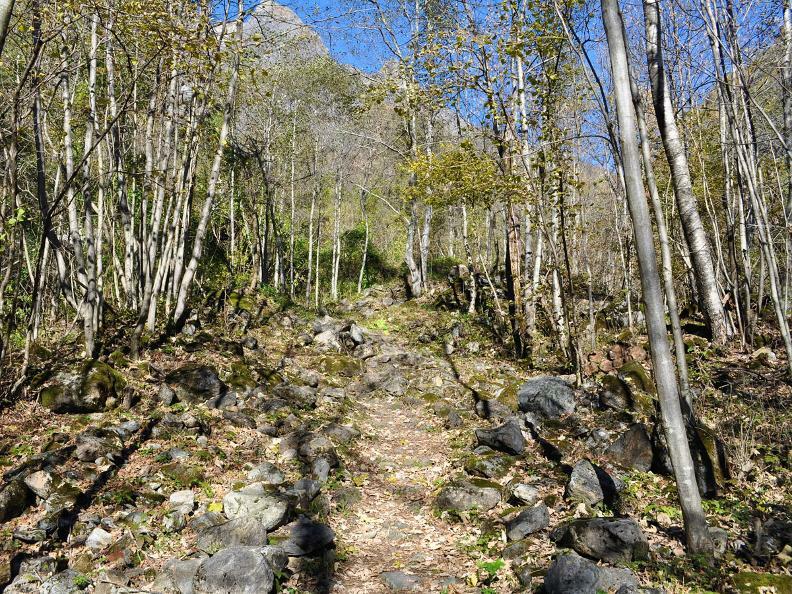 This walk offers a magnificent day out in the enchanting natural landscape of the Bavona Valley. 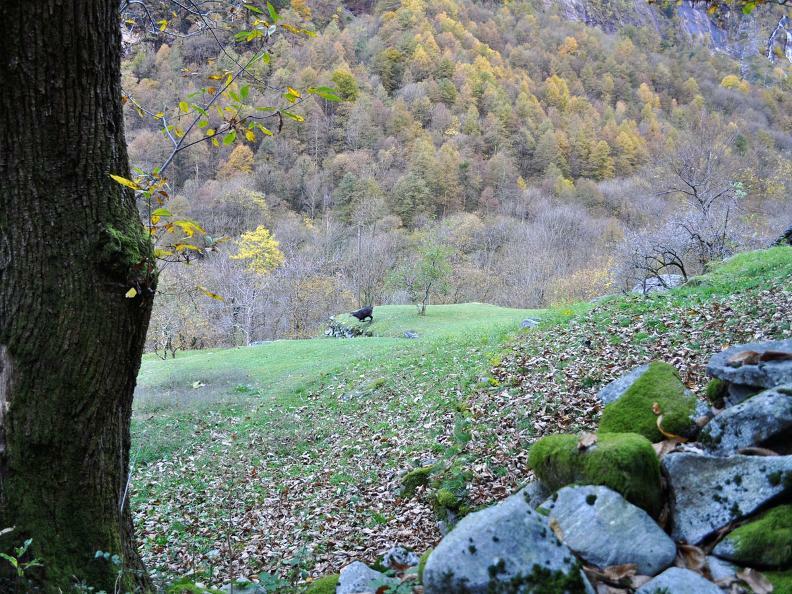 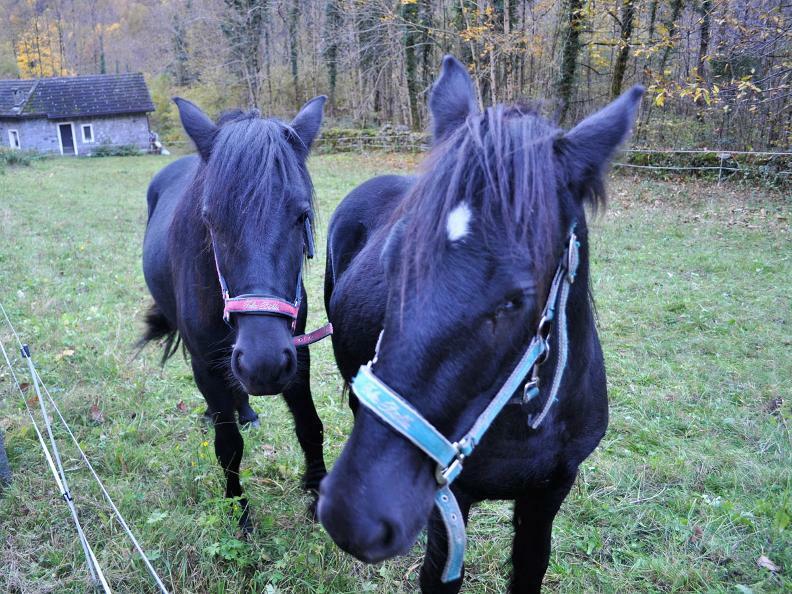 The path follows the route taken by past generations for the seasonal transfer of grazing animals to different pastures. 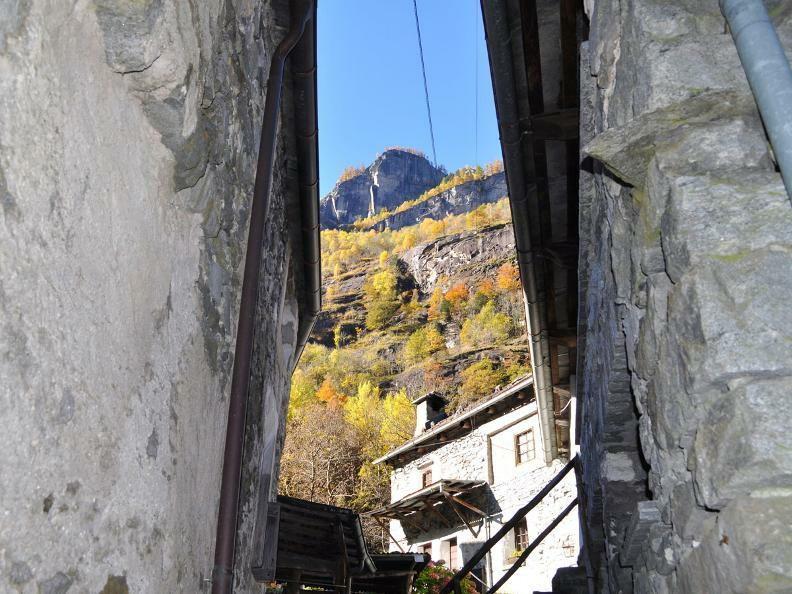 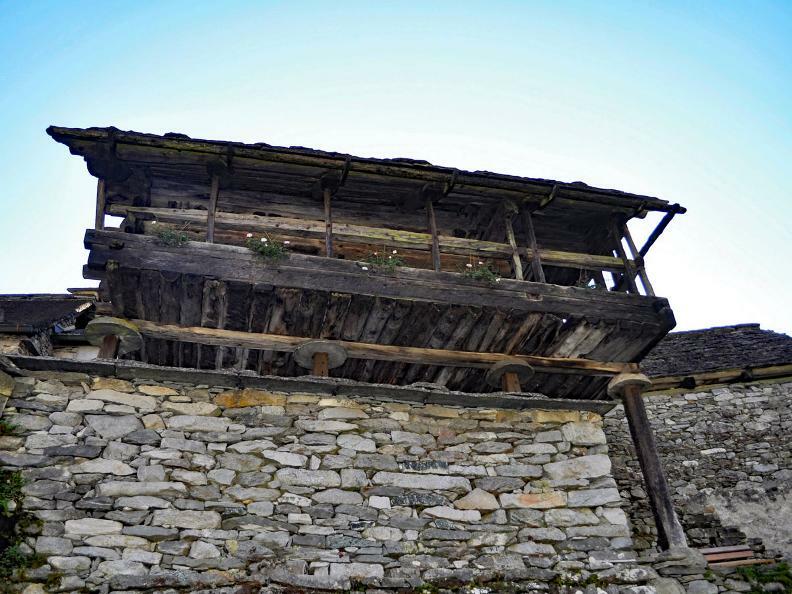 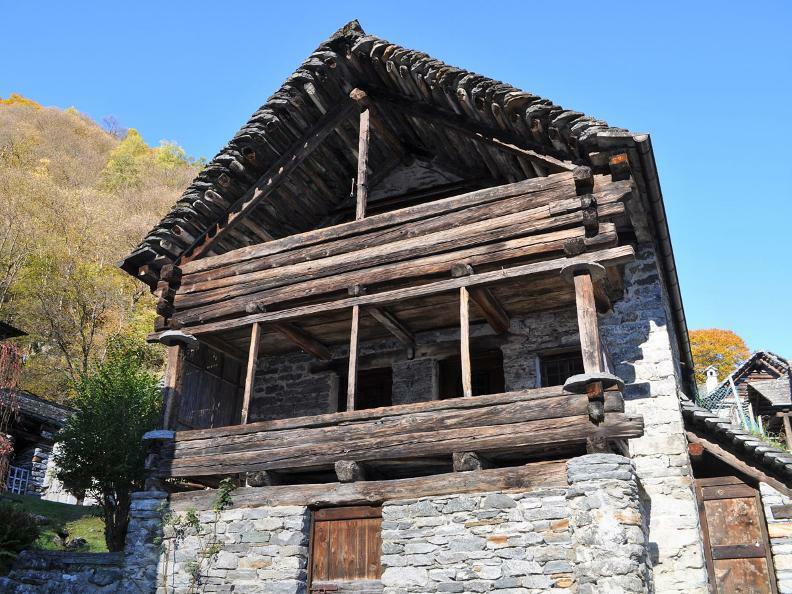 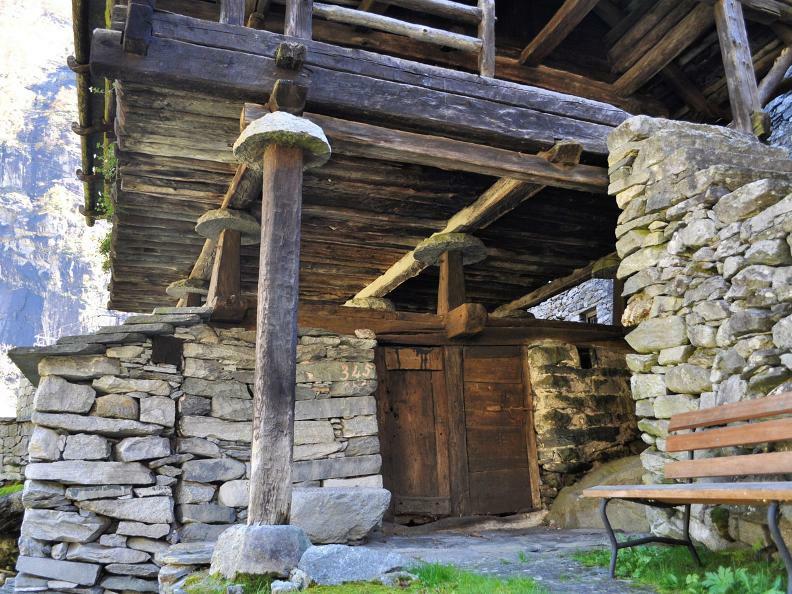 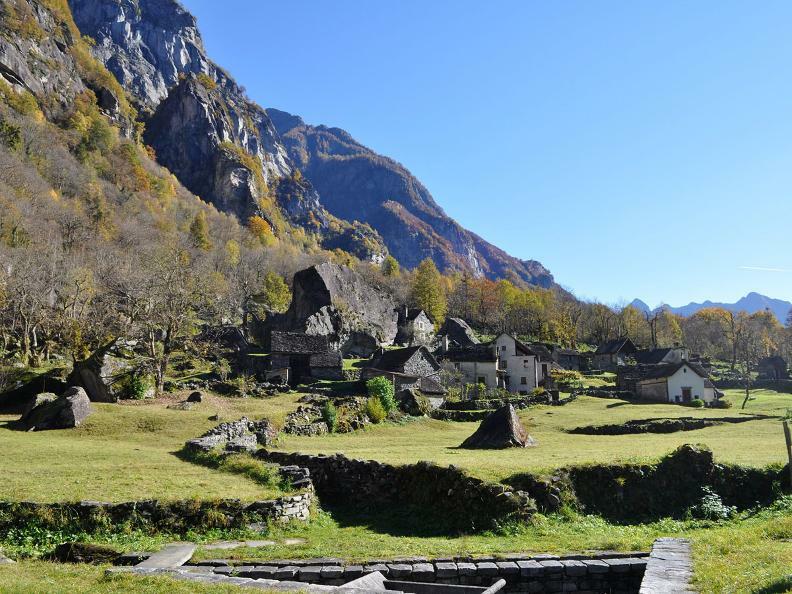 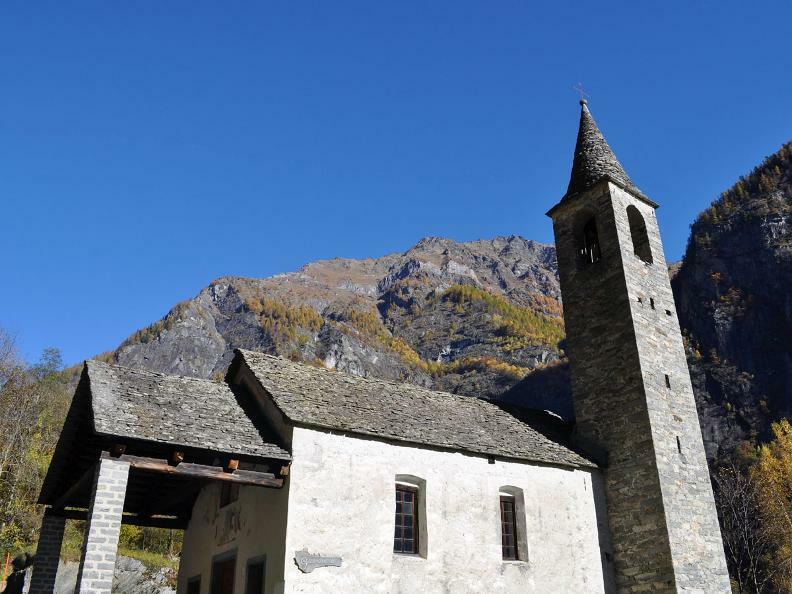 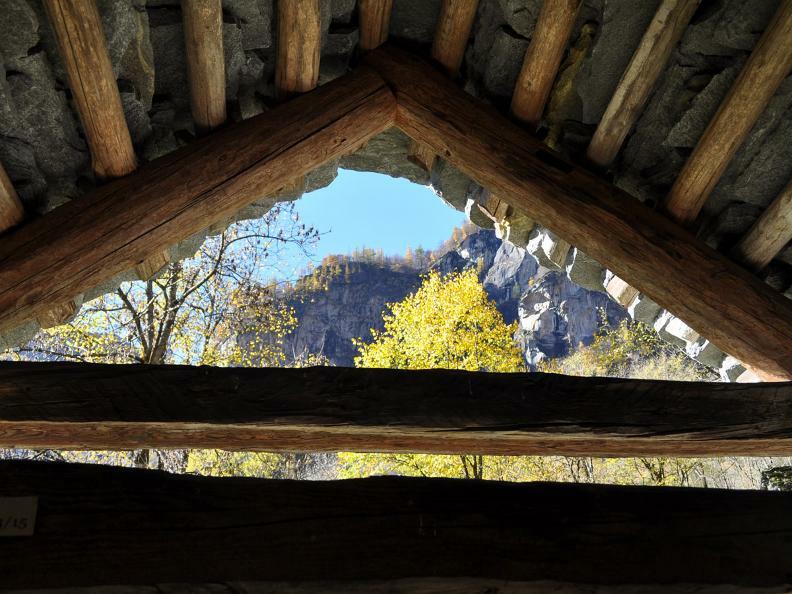 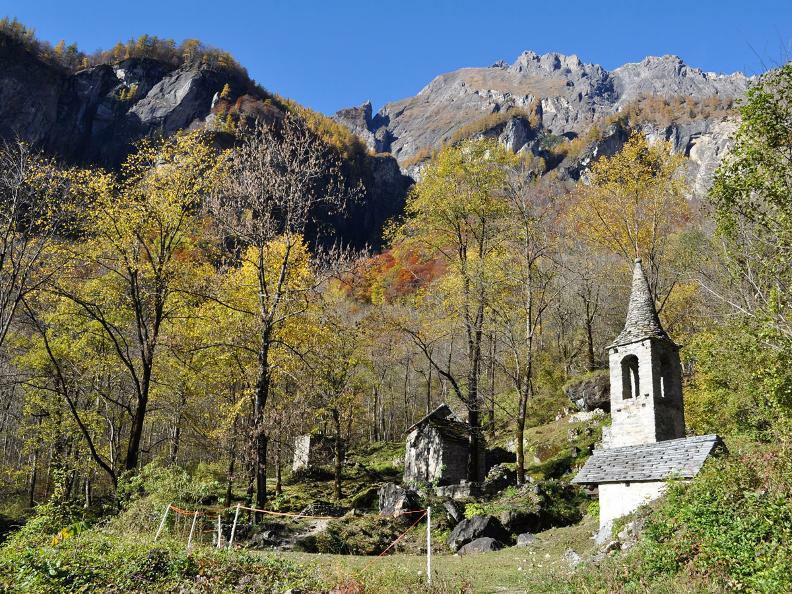 After visiting the ancient heart of the village of Bignasco, carry on towards Mondada, the first of the twelve hamlets which you will pass through en route to San Carlo at the foot of the Basodino massif with its impressive glacier. 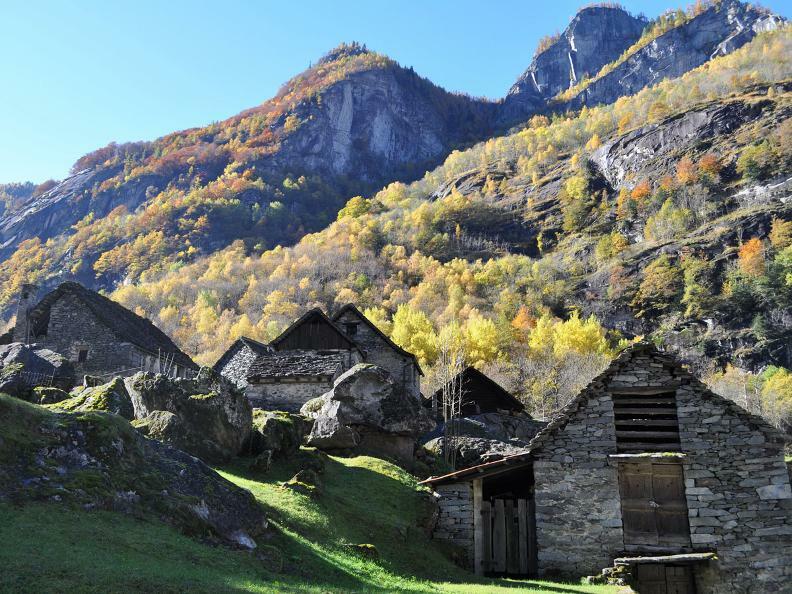 Rock shelters referred to as «splüi», waterfalls, a river accompanying you along the way, huge boulders which have crashed down into valley over the centuries from the dizzy slopes towering above the valley floor: these are just a few of the fascinating attractions that draw people from far and wide to visit this unique valley. 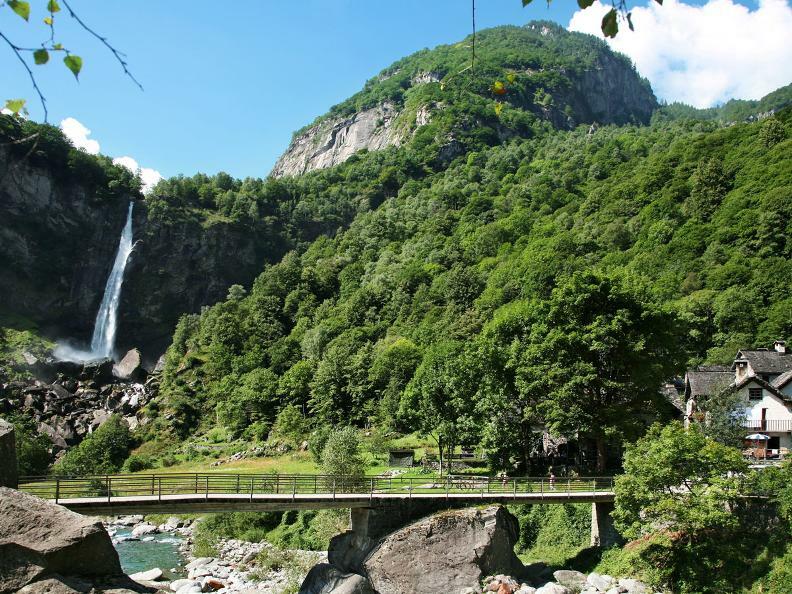 Worth seeing: 50m-high waterfall in Foroglio. 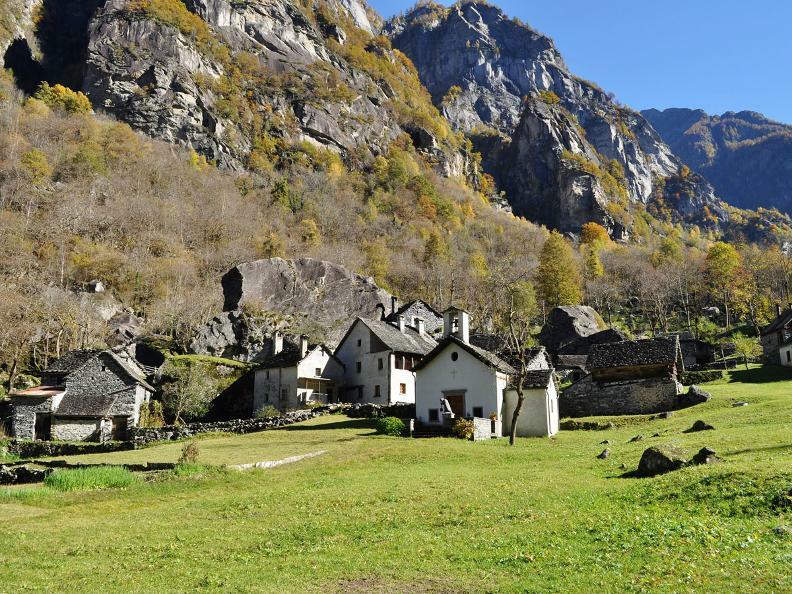 The Sentiero Cristallina links Bignasco in Valle Maggia with Airolo in Val Bedretto. 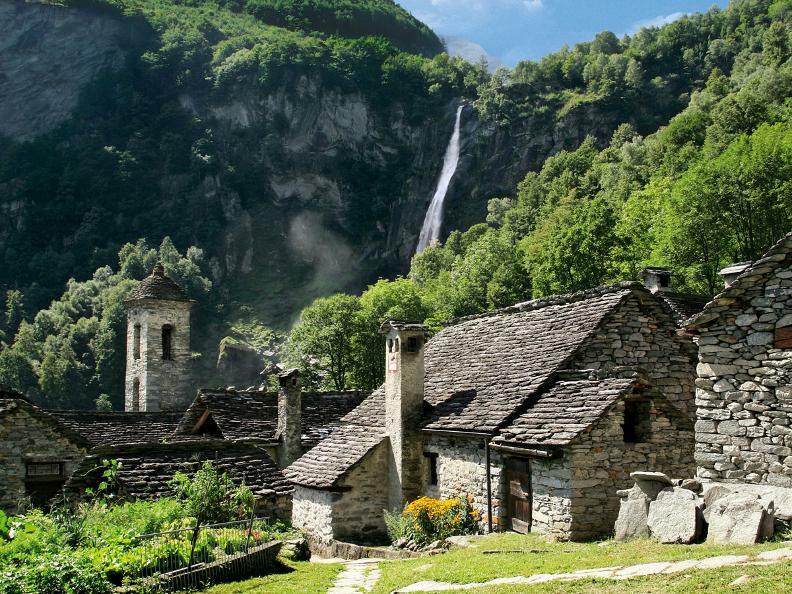 Between them lie steep mountain slopes, a waterfall on a village outskirts, crystalline rock, Alpine lakes/reservoirs, idyllic alps and remote hamlets.